Zhong Yu Tang, a secretary of Tianxi Group has been so for almost 5 years. She is happy with the fact of her finally being promoted to Executive Secretary to the CEO. On her first day as Executive Secretary, a text comes into her phone telling her Tianxi Group’s president has been in a ski accident. 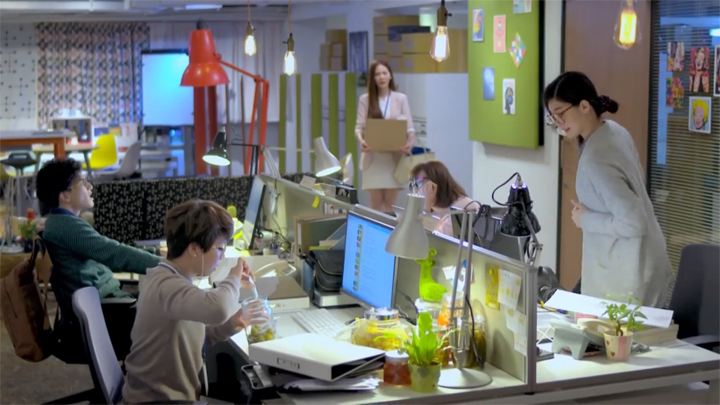 Zhong Yu Tang (Joanne Tseng) immediately goes to verify the information she received on her phone. She orders her subordinates to keep it from being leaked to the media and make sure everything is in good order for the extremely important contract signing with Xinwei Biotechnologies that’s taking place today. Arriving into the company and further working to keep the situation controlled and manageable, Zhong Yu Tang is informed of President Wang’s arrival (President Wang is Xinwei Biotechnologies’ president) and informed that reporters have been let through. 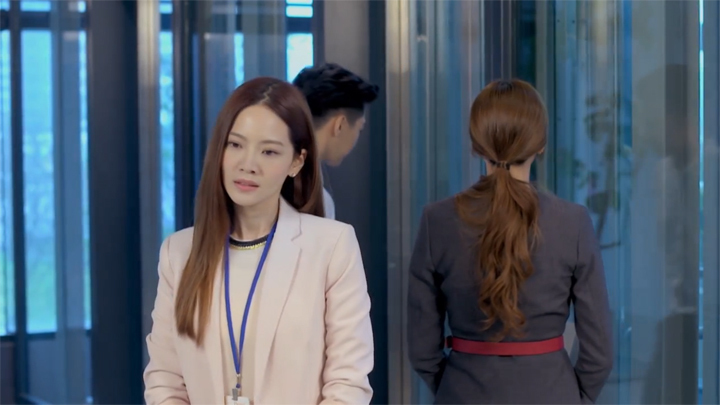 Zhong Yu Tang manages to have President Wang agree to allow her to lead him away from the VIP meeting room that President Wang and her company’s president, President Shen, usually sit in for their meetings. The VIP room is where she plans to keep the reporters situated in for the time being. However, the reporters are intelligent and persistent. They ask the employee who cater to them why no contract signing was taking place, seeing an empty room. Ultimately, the reporters surround Zhong Yu Tang with President Wang and demanded answers concerning reports of President Shen being in an accident. They turn to President Wang and ask whether he was aware of this report and what this meant for the contract signing between the two companies. Zhong Yu Tang doesn’t allow room for President Wang to comment. She tells President Wang everything is fine and informs the reporters that it is inconvenient for interviews with the important contract signing ceremony taking place. Zhong Yu Tang isn’t able to stop the reporters asking for comment on the situation: Why she couldn’t she answer their questions? They would leave immediately when she answered them. Director Hong appears. He is a director of Tianxi Group and is someone Zhong Yu Tang had called earlier to attend the contract signing in place of their missing president. Zhong Yu Tang seems to know President Wang would not be willing to sign the contract with another of the company without it being an arrangement made by their president when we see she had asked one of her employees to hack and send a message from their president’s account to her phone with a message of a delay and instruction for Director Hong to take his place in the contract signing. The plan to deceive was a good attempt, but not good enough when President Wang asks to speak to President Shen over the phone. He uses the reasoning of President Shen being able to answer a phone call if he was able to send a message. Zhong Yu Tang is losing the ability to manage the situation. Fortunately, President Shen appears through the door moments later. Zhong Yu Tang is relieved. President Shen invites the reporters to witness the morning’s important contract signing between Tianxi Group and Xinwei Biotechnologies. The report of President Shen’s accident was simply a performance test thought up by Tianxi Group’s new CEO, Ji Wen Kai. 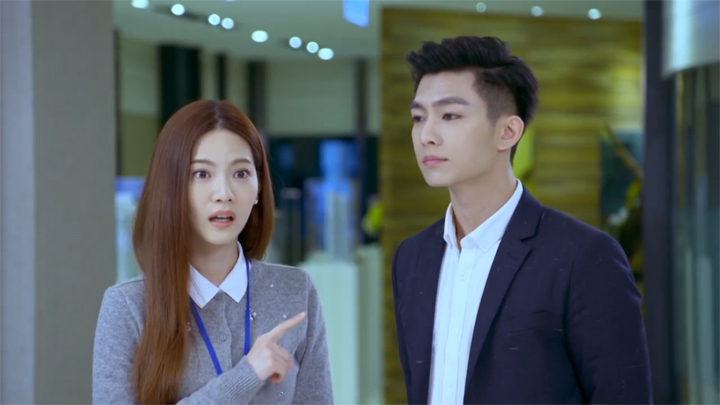 Ji Wen Kai (Aaron Yan) had been tracking Zhong Yu Tang’s performance in the background. After the contract signing, President Shen informs Zhong Yu Tang that the situation of him being in an accident was simply a test and Ji Wen Kai was the one behind the operation and President Shen appearing at the exact moment where the situation was at the brink of getting out of control was not due to impeccable timing, but something that was simply part of a plan. Knowing Ji Wen Kai as an unmotivated classmate back in her school days, Ji Wen Kai being Tianxi Group’s new CEO is surprising and unbelievable to Zhong Yu Tang. When Ji Wen Kai appears before Zhong Yu Tang after President Shen leads President Wang and the reporters into the VIP meeting room for the contract signing ceremony, it takes Zhong Yu Tang a moment to recognise Ji Wen Kai. When Zhong Yu Tang finally does, she comments on how proper he dressed and figured he must be reporting for work in the security department—as they were recruiting. But, Zhong Yu Tang gets a surprise when President Shen ushers not only her into the contract signing meeting, but also Ji Wen Kai. She gets a huge surprise when President Shen introduces to everyone the group’s new CEO to be Ji Wen Kai after the contract signing was completed. It’s because, in Zhong Yu Tang and Ji Wen Kai’s former association back in their school days, Zhong Yu Tang was the leader of the class they both were in. She was the intelligent one and one teachers saw with a bright future—so much so, they felt concerned about a delinquent such as Ji Wen Kai who sleeps in class and gets into fights being around her and become a hinderance to her bright future. In the present time, though, Zhong Yu Tang is one lacking motivation and ability to foresee events and plan well against not only Ji Wen Kai, but also Miao Ai Sha—a secretary who has worked with Ji Wen Kai for a long time. 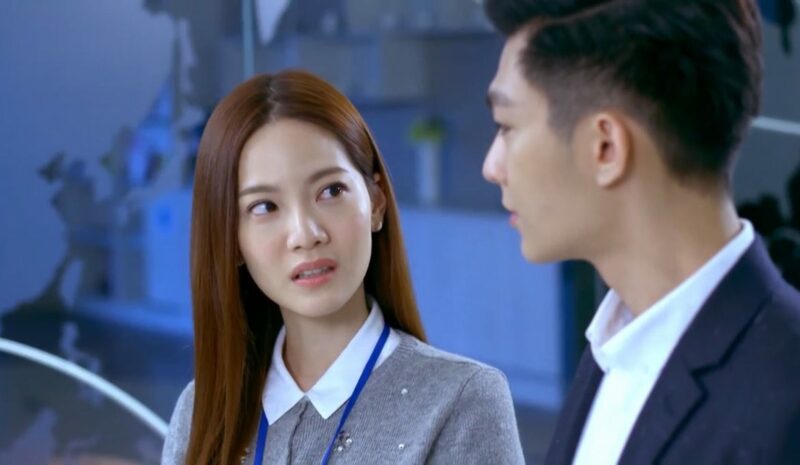 On their way to attend a meeting with a Russian company they hope to sign a contract with, Zhong Yu Tang fails to make a backup plan for the event that their Russian translator is unable to attend the meeting, needing Ji Wen Kai to bring in his back up plan: Miao Ai Sha. Miao Ai Sha is beautiful, talented, kind and shows she adapts well to changes and goes according to the times. She is superior to Zhong Yu Tang in skill and when it comes to knowing her boss, Ji Wen Kai. 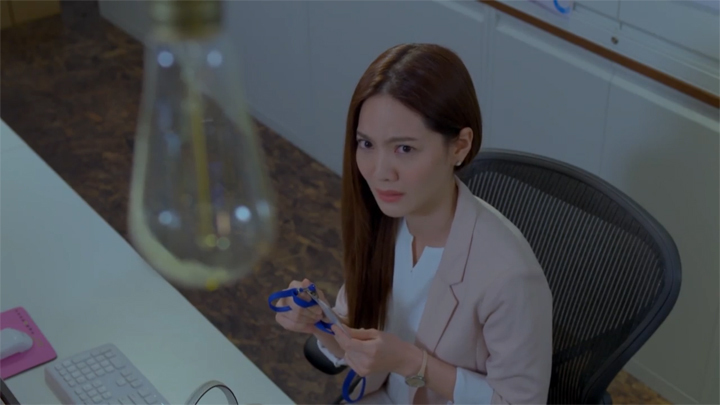 Zhong Yu Tang appears unmotivated when Ji Wen Kai gets Zhong Yu Tang out of her desk just as she was about to eat lunch to go to the two o’clock meeting with the Russian company and she asks him why they’re heading to the two o’clock meeting over an hour early. Ji Wen Kai tells her he wants to have thirty minutes to check out the place as well as allow him to end the meeting early. Fortunately, Ji Wen Kai did decide to head there early. It gave him enough time to bring his back up plan when Zhong Yu Tang gets news of their Russian translator is in the hospital for problems with her pregnancy on their way to meet the Russian businessmen. Zhong Yu Tang’s lack of a plan B doesn’t surprise Ji Wen Kai. He makes a call. We see Ji Wen Kai’s Plan B—Miao Ai Sha—enter in the meeting during the moment the Russian businessman, Mr. Tarkowski, speak in Russian asking for a tour of their company’s factory. 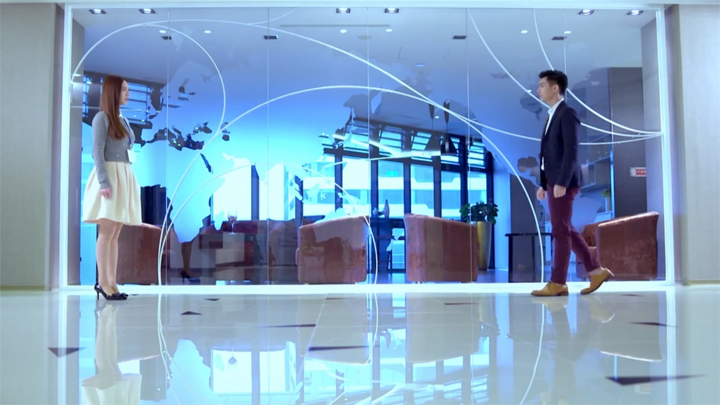 Miao Ai Sha fluently answers the Russian businessman in Russian. She also shows she is efficient and has talent in understanding people. In the time Ji Wen Kai called her to come in and the time she entered into the meeting, she had made arrangements with the factory manager for the tour to take place and planned a tour route. She foresaw the Russian businessman wishing to have a tour of their factory. Miao Ai Sha saves the day. Zhong Yu Tang: she looked unprepared and incompetent. Miao Ai Sha, Ji Wen Kai and Zhong Yu Tang see the Russian businessmen off outside the meeting place. The meeting ends successfully. Miao Ai Sha formally introduces herself to Zhong Yu Tang after the meeting with Mr. Tarkowski. Zhong Yu Tang apologises to Miao Ai Sha for needing her to make the trip and compliments her on her Russian. She wonders if she majored in Russian. No, Miao Ai Sha responds to Zhong Yu Tang’s question. After Miao Ai Sha tells Zhong Yu Tang how she came about to learning Russian (she noticed Russian trade has grown especially in beauty and cosmetic products and they are one of the eight largest importing countries for Russia and she forsaw her entrance into the company) Zhong Yu Tang realises she is far behind Miao Ai Sha in motivation and skill. Zhong Yu Tang also finds out how meticulous Miao Ai Sha is when she accidentally knocks into her in the bathroom. 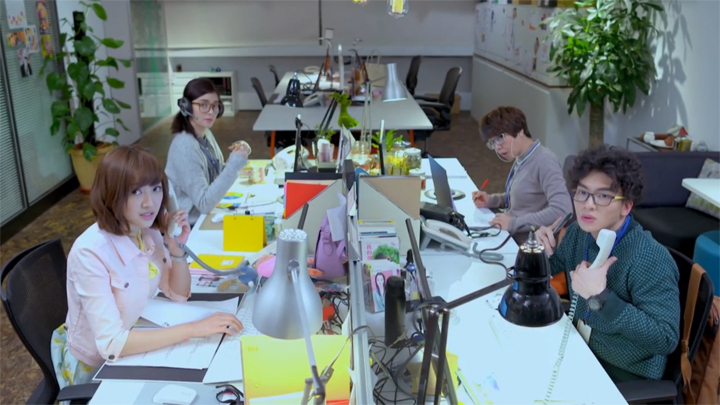 When Zhong Yu Tang goes to make sure the knock didn’t damage her phone’s screen, she finds Miao Ai Sha is studying the company. Zhong Yu Tang also finds out Miao Ai Sha knows Ji Wen Kai’s preferences when Miao Ai Sha asks Zhong Yu Tang to buy breakfast for two the morning after the meeting with Mr. Tarkowski: buy one with eggs and one without. Kelvin (Ji Wen Kai’s English name) doesn’t like eggs. This comes after Zhong Yu Tang had ordered omurice (omelette stuffed with rice) for Ji Wen Kai’s breakfast the previous day when he asked her to prepare breakfast for him. Zhong Yu Tang finds the team of Miao Ai Sha and Ji Wen Kai much too skillful for her to be useful. 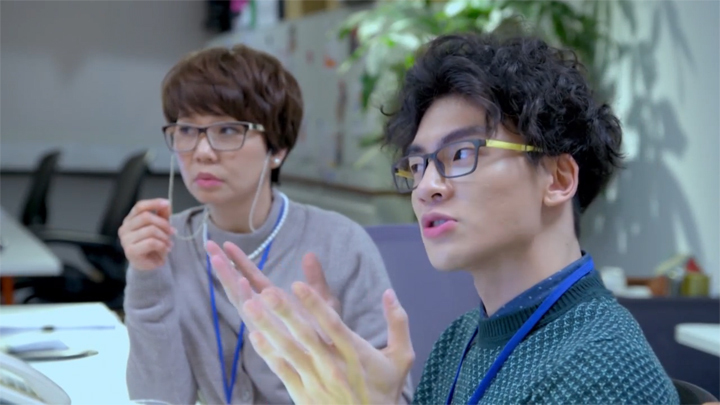 Zhong Yu Tang accuses both Ji Wen Kai and Miao Ai Sha of leaving her out in their all-nighter meeting with Mr. Tarkowski. She mentions resigning in her disappointment. Ji Wen Kai transfers Zhong Yu Tang to Sales Team 3. Zhong Yu Tang’s flatmate takes the call from Miao Ai Sha and Ji Wen Kai, asking her to come in whilst out of the room. Her flatmate informs them she will tell Zhong Yu Tang to call them back. However, it slips her mind. Zhong Yu Tong arrives to work the next morning realising Ji Wen Kai and Miao Ai Sha hadn’t gone home at all and worked the entire night when she notices they were wearing the same clothes as the previous day. Miao Ai Sha tells Zhong Yu Tong it’s because Mr. Tarkowski needs to return back to Russia quickly to tend to his sick mother that they were required to spend the night finalising the contract. Zhong Yu Tang isn’t pleased to hear that they hadn’t called her since coming in to work at a call’s notice is part of her job. But of course, they had—twice. It’s not possible, Zhong Yu Tang says. It’s until she checks her call log that she realises they hadn’t wanted to leave her out in the work when finds missed calls around seven in the evening. Ji Wen Kai asks Zhong Yu Tang how he should handle the matter of her not having done the job that she herself have said should be carried out herself. Zhong Yu Tang struggles to answer Ji Wen Kai’s question for a moment before she provides a proud answer: “You don’t need me anyway. It’s not a huge deal that I resign.” Ji Wen Kai shows her how wrong she is with that thought. He asks Zhong Yu Tong to follow him back in to his office and reads out a clause where she agreed with a signature that she will not resign in three years or pay a penalty fee of one million dollars. Her punishment is a transferral to Sales Team 3. Sales Team 3 is dubbed as the a cemetery for the talented and is the heart of Tianxi’s slash disposal. Entering into Sales Team 3, Zhong Yu Tang’s new team members are people with unique and interesting personalities. It is a team that doesn’t meet up to standards—one that Ji Wen Kai will keep a close eye on. Wow, the series went right into the action from the get go. When we first read the synopsis, we didn’t think it was a must watch. It sounded typical. Aaron Yan’s character felt like his character in Just You on the trailer and teasers. The office actually felt like Just You. But after the watching the first episode, we can feel that the series is great and there’s something a little different about Aaron Yan’s Ji Wen Kai character of this series from his Qi Yi character of Just You. Ji Wen Kai is arrogant for the most part just like Qi Yi But, he’s got some softness about him and he was once an underdog. He was a delinquent who slept in class and was teased by Zhong Yu Tang who was the model student and class leader. There were a lot of close contact between Ji Wen Kai and Zhong Yu Tang. Most of them are Ji Wen Kai being confrontational and one typical romantic one—the girl losing balance and the guy catches them and they end up in a dipping position. We’ve never come across a series that comes at you with as many close proximity scenes in the first episode as Refresh Man! 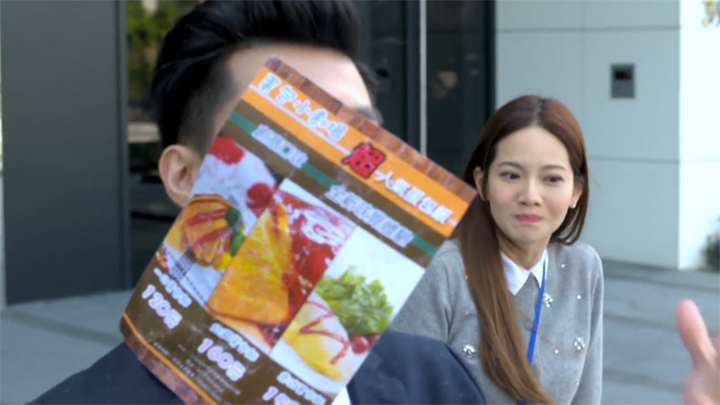 This scene where the leaflet for omelette rice slaps into Ji Wen Kai in the face, it was funny. But we can’t actually figure out what the significance of it was, though. We know Ji Wen Kai is a little arrogant and he doesn’t like eggs. But why did he suddenly get slapped in the face with that leaflet? This relationship between Ji Wen Kai and Zhong Yu Tang, we know a bit about their past associations through cut shots. They’re classmates for sure—ones who don’t gel. But, there seems to be something more on Ji Wen Kai’s side. Doesn’t it feel like Ji Wen Kai likes Zhong Yu Tang? When they did the flashback of Ji Wen Kai beaten up in the face and Zhong Yu Tong says that she will never be friends with someone like Ji Wen Kai and Ji Wen Kai looked disappointed. It has to be like. There was also that very small scene where Ji Wen Kai was yelling into the phone about hurrying up, going home so they can stop annoying him. Zhong Yu Tang misunderstood it as being directed at her. She gets offended and stormed off. Ji Wen Kai immediately tries to tell her he wasn’t talkng about her. He calls her twice in a desperate tone. But of course, Zhong Yu Tang doesn’t listen. Hmm, there’s something there. It’s great to see Zhang Luo Ti in this new drama. Our last Taiwanese drama recap was Love Cuisine which Zhang Luo Ti was part of the main cast. Last time, he was a high school student. This time, he’s a 26-year-old office worker. But he feels like a character similar to the previous one played. We feel we’ll like his character here just like the one in Love Cuisine. We enjoyed the first episode a lot and we’re looking forward to the series. We find Zhong Yu Tang moving into the dungeon-like department of Sales Team 3 really interesting. The odd-ball type characters are going to bring in some oddness and fun. Zhong Yu Tang feels like she’s going to transform into something like a team leader to this team of lethargic odd balls. Hopefully, she’s going to improve this under-performing team. We can’t tell what’s to come for the relationship between Ji Wen Kai and Zhong Yu Tang, but we are definitely looking forward to whatever comes our way for the pairing!